Based on a true story, a group of allied escape artist-type prisoners-of-war are all put in an “escape proof” camp. Their leader decides to try to take out several hundred all at once. The first half of the movie is played for comedy, as the prisoners mostly outwit their jailers to dig the escape tunnel. The second half is high adventure as they use planes, trains, and boats to get out of occupied Europe. I watched this movie again last week and it never fails to entertain. So what’s the problem? Well, based on today’s high necessity for diversity in everything including the entertainment industry, and as we’ve seen in all of the online drama and trauma surrounding Marvel’s film Captain Marvel, especially related to comments by actress Brie Larson who plays the title character, “The Great Escape” is far too white and male. Okay, let’s be real. This is a story about a bunch of male British RAF officers in a prisoner of war camp run by the German Luftwaffe so you’d expect nothing but a bunch of white males. The only time women are shown in the movie is during the escape portion when the various prisoners were in towns, or riding on buses or trains, but even then, they were all white (presumably German) and only shown in the background. No woman had a speaking role in this film. Since the vast majority of prisoners were British, I tried to find out if any African-British men served in the RAF but my search revealed nothing (if you know the answer to this question, please let me know). I’m sure you’ve heard of the Tuskegee Airmen which was a segregated US Army Air Corps unit that served during World War Two, but of the three Americans in the movie, none of them were black. I did find out that African-American officers, when captured, were segregated from the white POWs, so even if a black American had been featured in the movie, he would have been imprisoned separately from the white officers. So, based on the actual history AND the movie being made in the early 1960s, it displayed an appalling lack of diversity. To the best of my knowledge, this movie has never been remade, which, in my opinion, is just fine since it remains very good entertainment…for a fossil like me at least. Could it be remade today? You’d have to figure out how to make it more diverse, which would be tough. First of all, the U.S. Military wouldn’t become racially integrated until 1949. Integrated Army units such as the “Howling Commandos” depicted in the 2011 movie Captain America: The First Avenger based on the comic book Sgt. Fury and his Howling Commandos, created by Stan Lee and Jack Kirby in 1963, are totally inaccurate (though I find it interesting that Lee and Kirby, who both served in the military during World War Two, chose to integrate Fury’s unit in the early ’60s). Even if you remade the film putting in African-American Airmen, they’d be in a separate part of the camp, so creating a unified escape effort would be difficult at best. Also, the relatively light-hearted nature of the first half of the film would have to be gotten rid of based on how much worse the Nazis treated black prisoners over white prisoners. I suppose you could give the camp Kommandant a female secretary, but again, for accuracy, that may not have been practical. 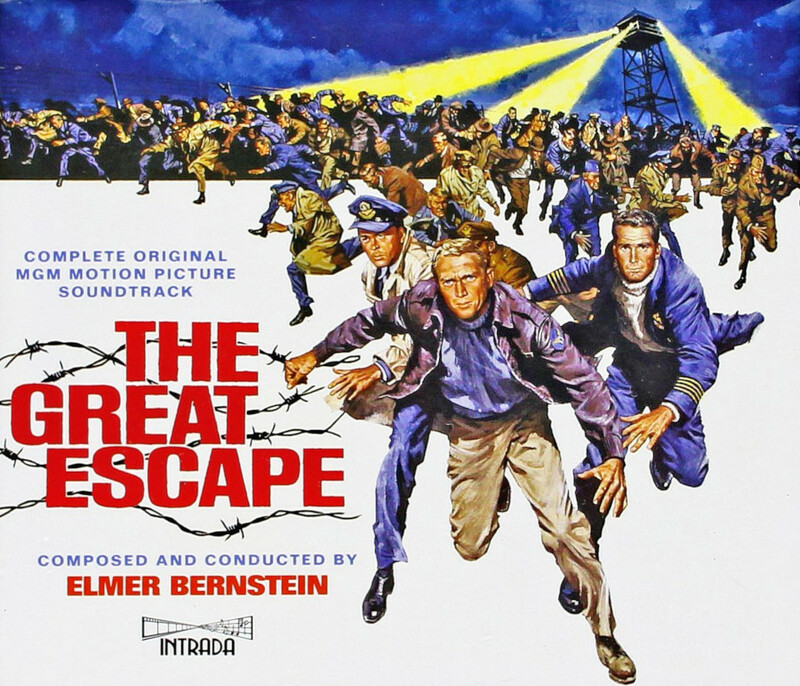 You could have one or more of the escapees end up at a farmhouse or other location and interact with one or more female characters, but the movie was about the action of the escape, and in the original film, the prisoners interacted only with the Germans, and often only long enough to be recaptured and/or shot. You see, the movie’s plot, based loosely on the book, didn’t require what we consider diversity in 2019. But what if you have a movie or book idea today that also doesn’t require diversity? Would it sell? 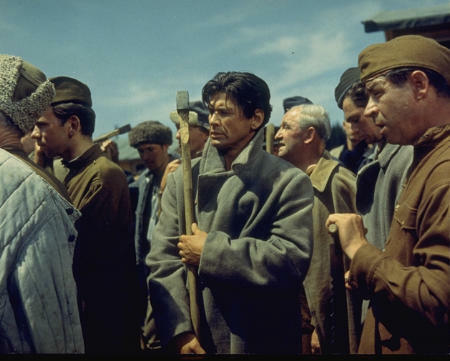 Scene from the 1963 film “The Great Escape” featuring actor Charles Bronson. See what I did? I asked “would it sell” rather than “would it make an interesting story.” Of course, creators want to be paid for their work just like anyone else, but what we have here is an interesting story (in my opinion) which was highly marketable in 1963 but probably wouldn’t be over half a century later. My short story “The Dragon’s Family” featured in the anthology Magical Reality features two white men (father and son), a white boy (grandson) and a white baby girl (granddaughter) as the only human characters (yes, it also has dragons), and my short story “Joey” which you can find in the anthology World War Four has a white man and his grandson as the primary characters (several of the minor characters at the end of the story are women and people of color) and they both sold just fine. My short story “The Devil’s Dilemma,” which is being published in 1929: A Zimbell House Anthology, available at Amazon starting on the 26th, has a 16-year-old Irish-American protagonist. I guess I have a diversity problem, too. Actually, two more of my stories that have been accepted for publication feature a Mexican protagonist and an African-American protagonist respectively, so my problem isn’t that big. I guess it’s possible to have a “non-diverse” story published, as long as it is a minor story that doesn’t make much of a splash. It probably wouldn’t do though if you were making a major motion picture, or for that matter, a best-selling novel. Diversity is a political ploy. It’s an attempt to control people, even from the very sound of it. The word doesn’t exist in normal mainstream discourse. I think a lot of folks consider it “mainstream”. My Uncle was in the RAF during the WW II he was interracial half black & Indian. The British had all black regiments from parts of the British Empire that was actively involved in combat during WWII; mainly in North Africa. Famous incident where the Caribbean element campaigned for equal pay and allowances that white Soldiers got; it was eventually granted to them…. American Black Soldiers weren’t given combat roles at first they were mainly in support roles. The supply lines often extended past the American front line and black Solders found themselves in combat but were never given the credit…. It took political leverage by black representatives to get blacks their full opportunity the Tuskugee Airmen, black enlistment in the Marines, the black tank battalion that was attached to General Patton’s division…. Thank you for that. Either my Google skills are poor or that information has not been made easily accessible on the internet. George is right; there were many black and Asian fliers and soldiers. In fact, history was rather more racially diverse than we have been led to believe by earlier Hollywood films. Their stories are too often overlooked in older movies. On the other hand, I find it rather silly that race, gender, age and sexual orientation should have to be dished up ‘by quota’ just for the sake of political correctness. I’d much rather see a time when we genuinely don’t notice such distinctions and simply see each other as human beings. I can see that I need to circle around and follow up on what both you and George has said. Thanks both of you. my grandad was captured in crete and became a POW in one of the stalag camps. he was a watchmaker and made compasses for the escape committee. fascinated, and sad i cannot find much info on the camp, so i watch the movie and imagine my grandad in with the guys making the passports in the hut over. the great escape/ good bad ugly/magnificent 7 are my goto films. Some terrific films came out of the 1960s.